Anyone who has been to the Secret Howff, and many who have just heard of it, will know the name Ashie Brebner. The last remaining builder of the legendary howff, Ashie has finally decided to tell his story. 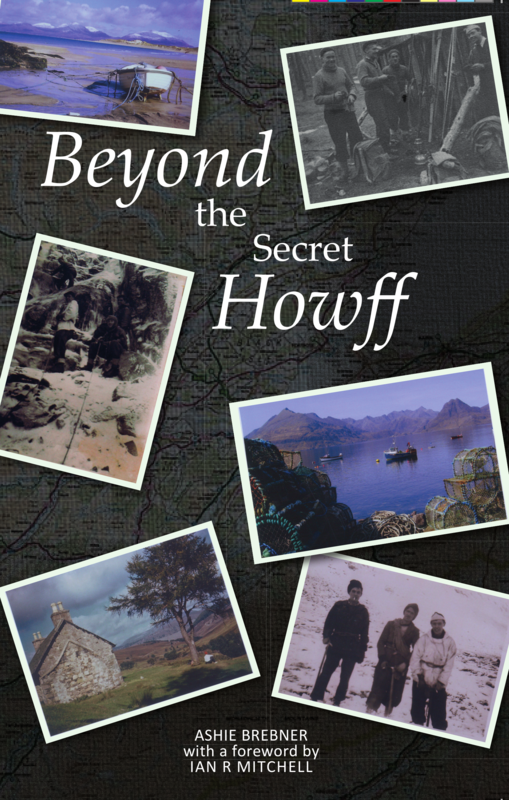 Published by Luath Press, Beyond the Secret Howff will be launched in Aberdeen later this month. As the title suggests, the book will describe Ashie’s life not just in terms of howff-building, or his pioneering adventures in Scottish skiing (ski mountaineering, of course), but also his later career in pioneering guided outdoor holidays in the Highlands. I haven’t read the book yet but have exchanged a good few emails with Ashie over the last couple of years and know he has plenty of great tales to tell, so I’m looking forward to getting stuck into it myself. In the meantime, whet your appetite with a couple of tales from Ashie which he allowed me to carry in the blog: one about the early days of ski mountaineering in the Cairngorms, and the other of a specific legendary exploit skiing the Black Spout of Lochnagar. The launch is in Aberdeen on Wednesday 22 November in the evening at Extreme Sports on Links Road. It’s an open event, so if you’re interested come along and pick up an early copy of the book. Find out more about the book at the Luath Press website. This entry was posted in History, News, People and tagged Ashie Brebner, Luath Press, secret howff. Bookmark the permalink. I’m still hoping to get to the Secret Howff one day if I ever get my legs put back on! Ach, it’s an easy walk for a convalescence. You’ll get there one day. Really looking forward to this event Neil. It will be a really interesting night. see you there hopefully. Aye Kenny, I believe Mr Freeman is thinking about coming as well. Should be a good evening Heavy. Know you’re probably looking forward to some evenings at home, but you’re welcome if you wanted to come along.